I’ve got two very special guest hosts tonight. Brian Hamilton was looking to break our Curse of the 3xers, but he’s locked out heading into Final. Brian’s loss tonight makes it 24 straight games without a three-time winner – now second-most in the post-KJ era. As for our game, these numbers are straightforward; it’s a double-lock. 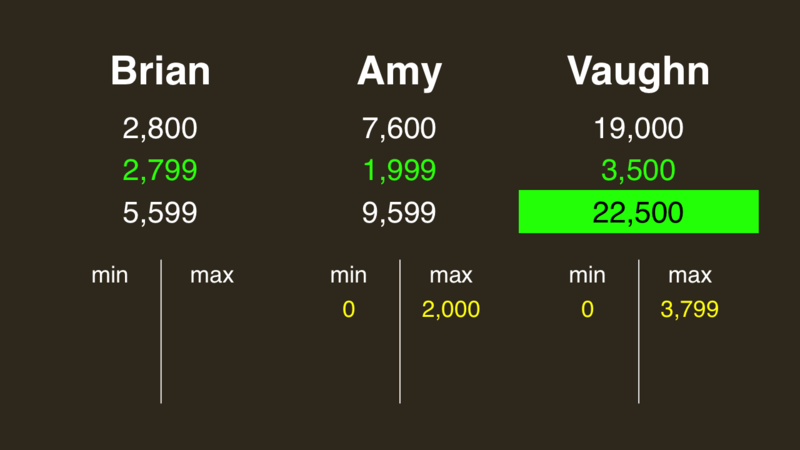 Amy should hold on to second place with a wager of at most 2,000. Lo and behold, everyone did well! What are the Hutu and Tutsi? 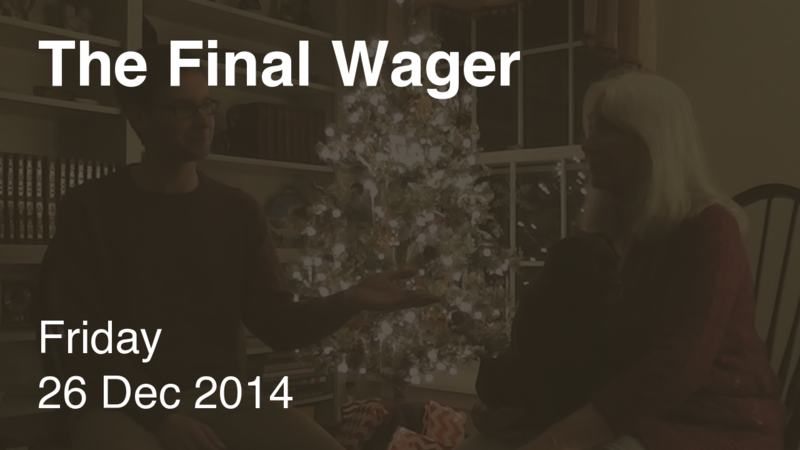 See my 12/23 comment for details. In the last 10 games (counting tonight) we have the following result: In 2 cases all three got it right = easy. 6 cases of 1 right + 1 case of 2 right = 7 ok and 1 case of 0 right = hard. So that’s a “final jeopardy degree of difficulty = just right” score of 70%. After a 1 day excursion outside at 80% we’re back into the “butter zone” of 40%-70%.